Five-yard coordinating bundles are all the rage! Look for patterns and books that focus upon coordinating fabrics to make fun quilts! Save time by purchasing fabrics that have been curated to work together in our shop. 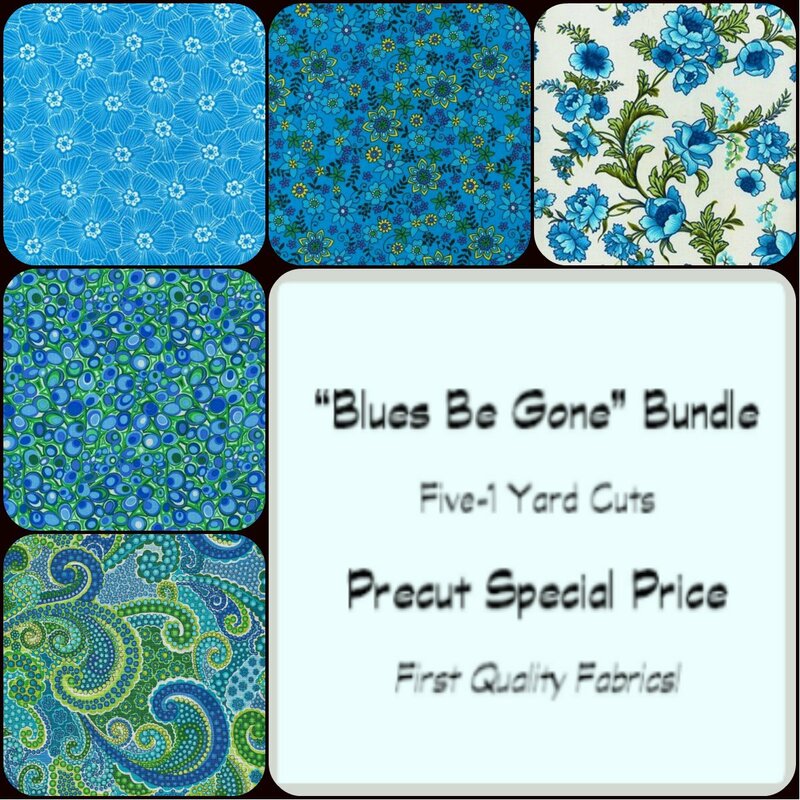 Includes 1-yard cuts of five different fabrics. All precut fabrics are first quality, cut from our bolts in our shop.